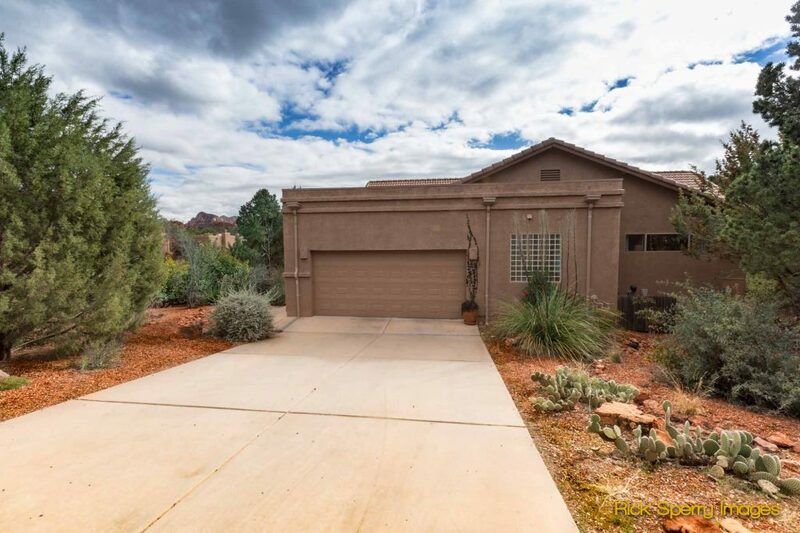 Pueblo Trail - Bright & Spacious - This 3BD/2BA Home Won't Last Long! 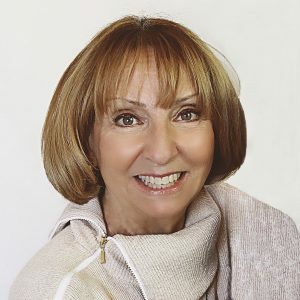 Sorry – Too Late! 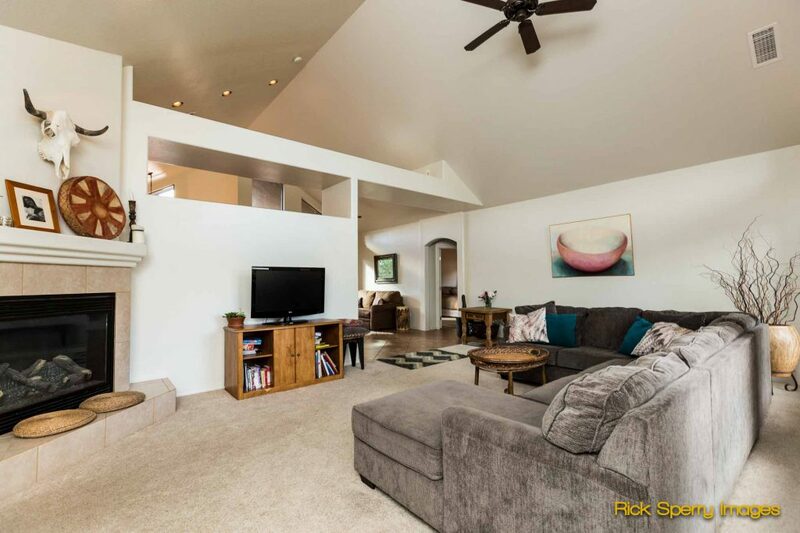 This home is SOLD! 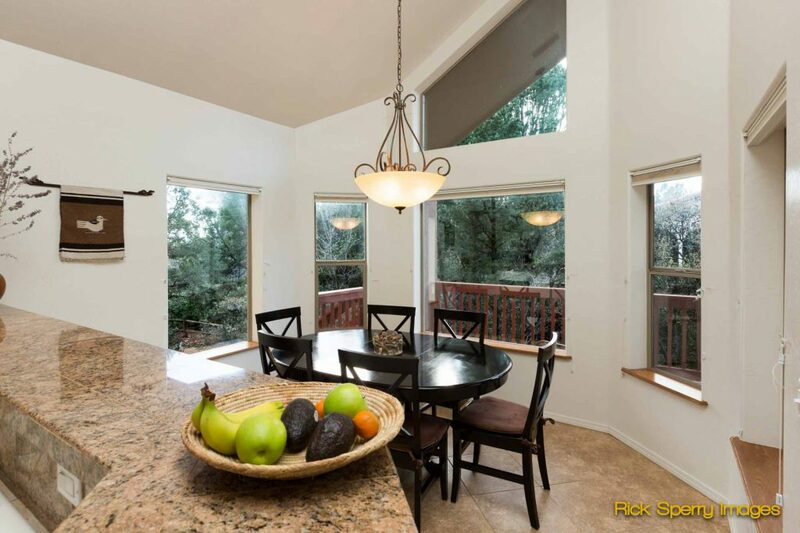 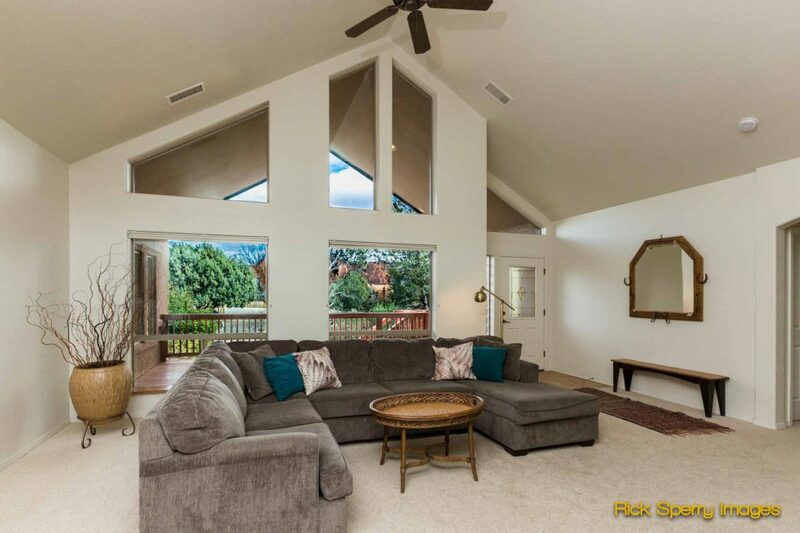 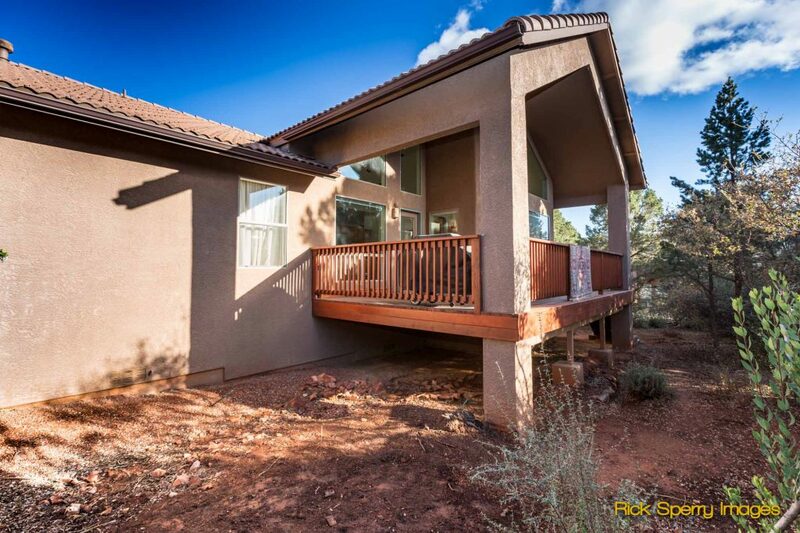 Light & bright home in the heart of West Sedona. 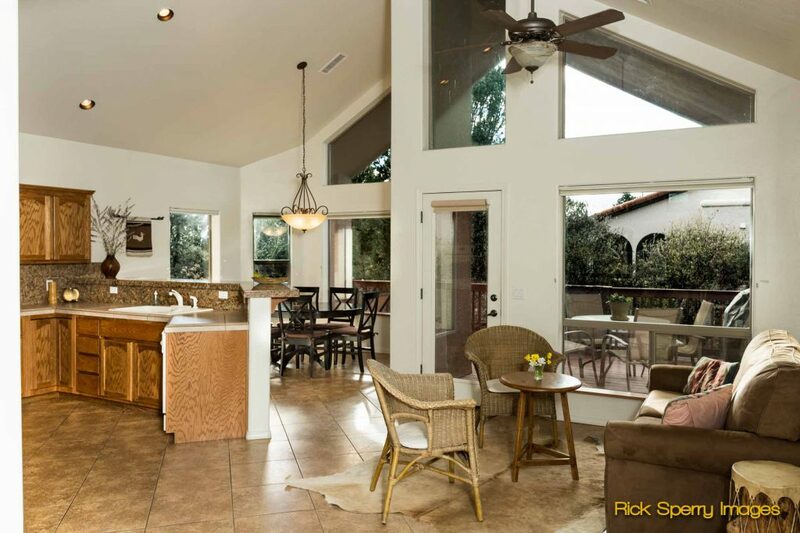 Enter the living area with inviting fireplace & open to kitchen/dining area. 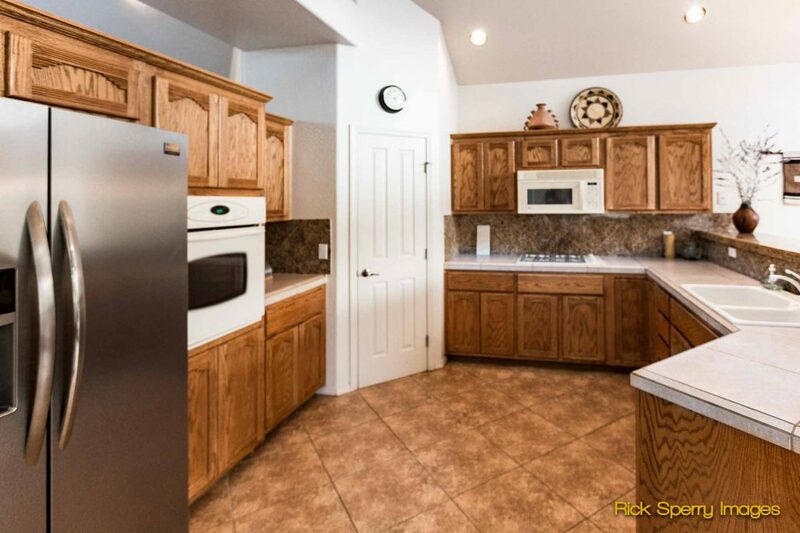 Kitchen has tile counters, granite backsplash, walk-in pantry, gas range/oven, & kitchen eating area. 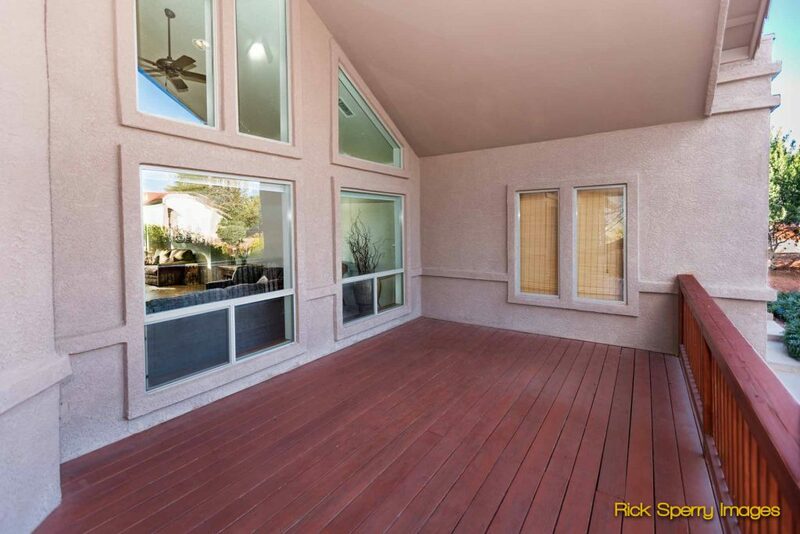 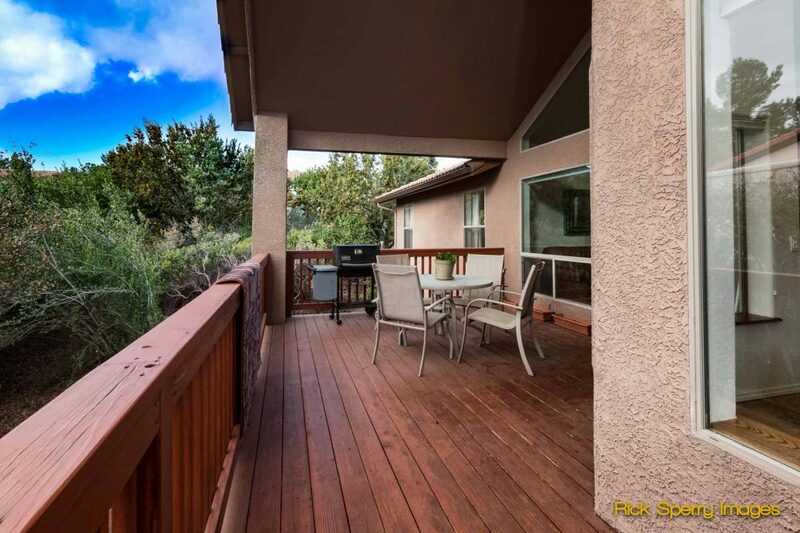 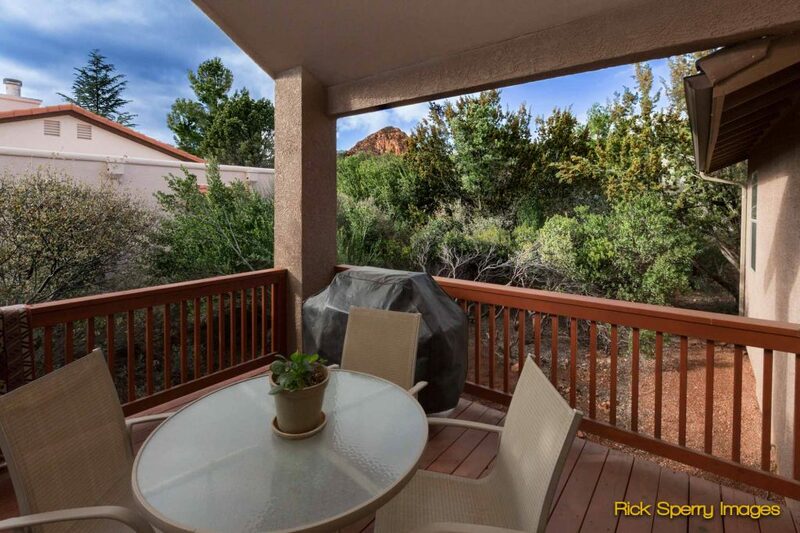 Saunter onto the back deck for those get-togethers & enjoy views of Thunder Mountain. 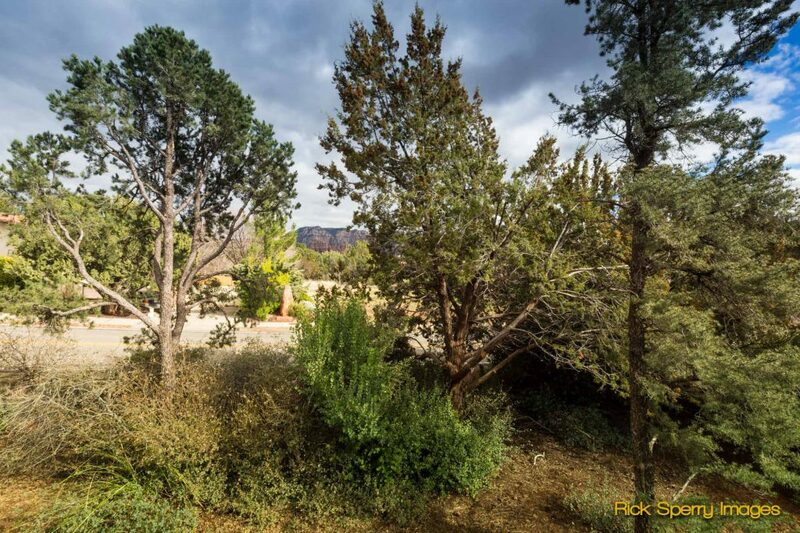 The surrounding yard has separate areas to enjoy the views & natural landscape. 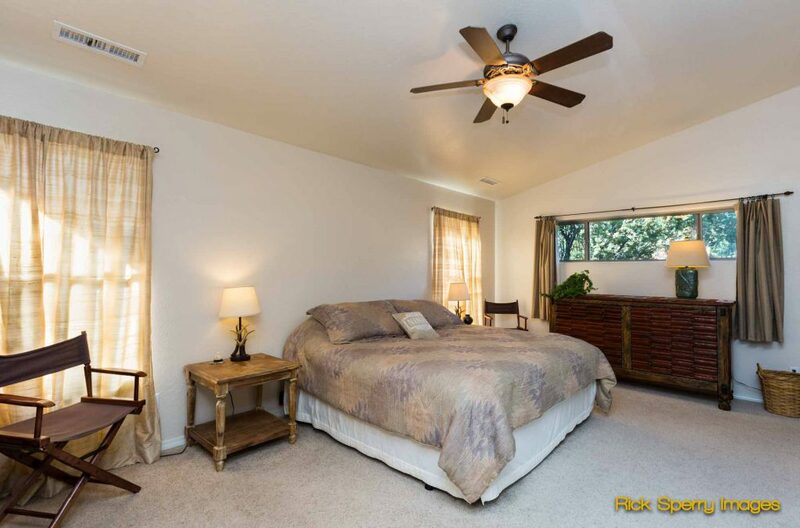 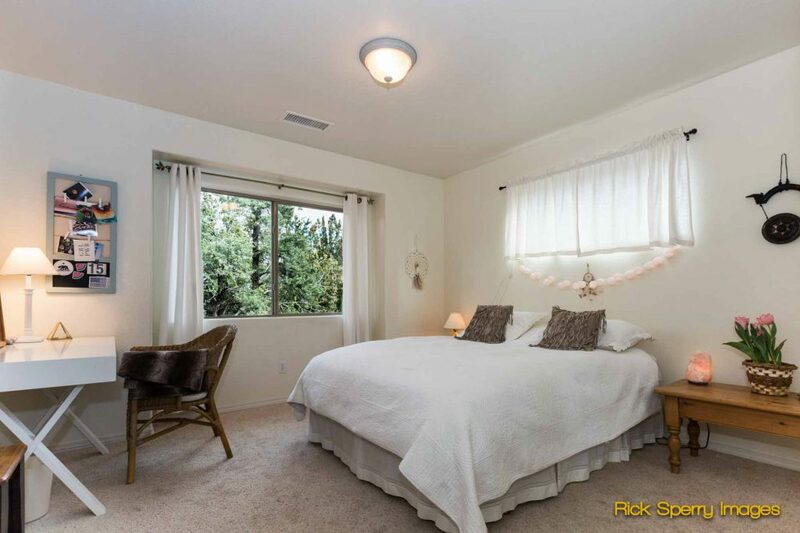 Interior boasts of split floor plan & spacious master suite with walk-in closet & its own bath. 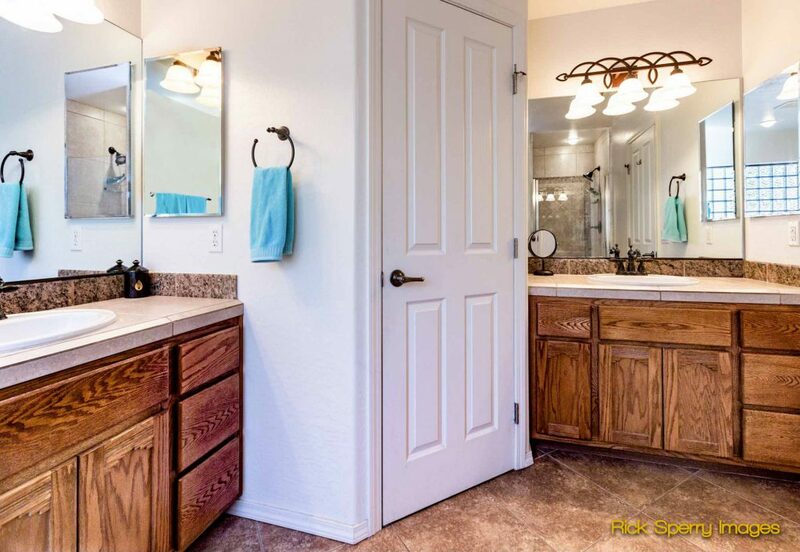 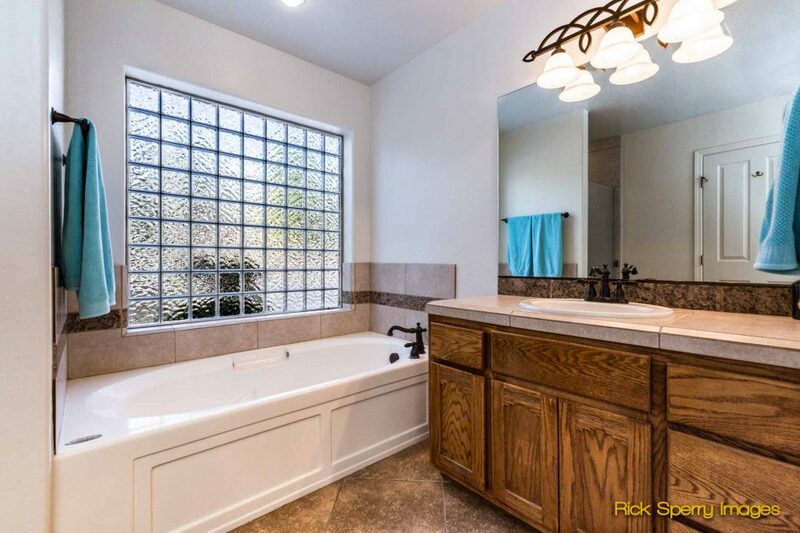 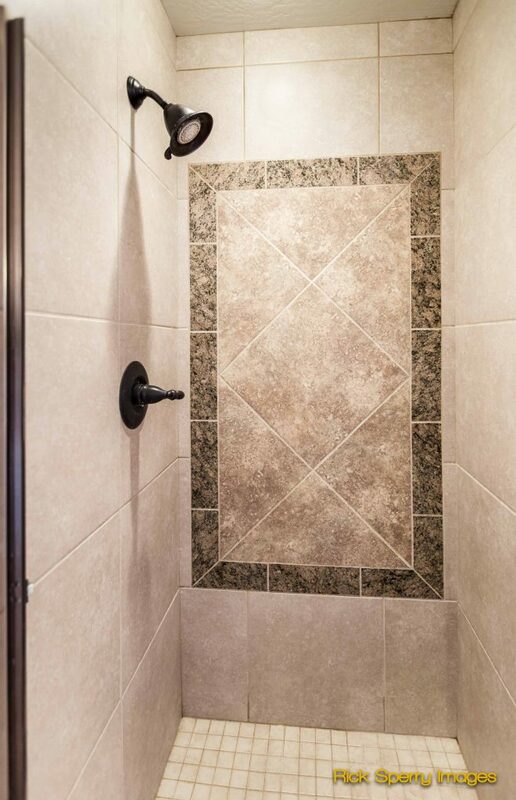 Master bath includes dual sink areas, over sized tub & walk-in shower. 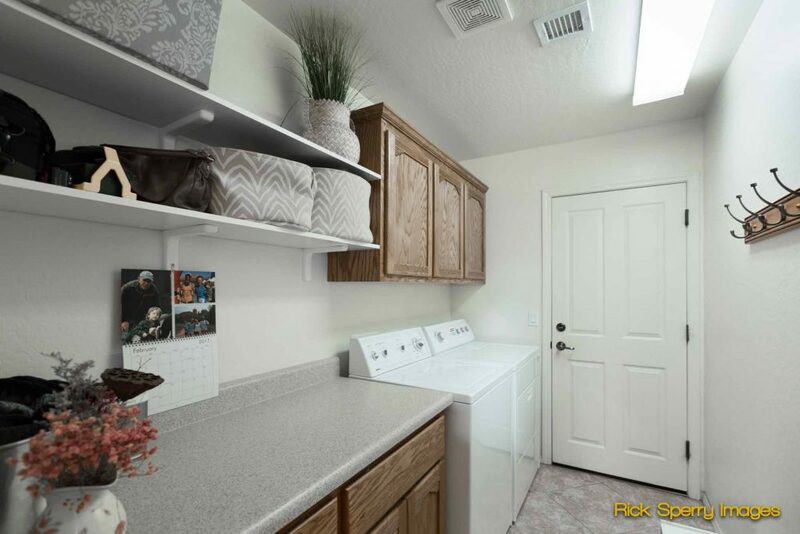 Large laundry room has washer, dryer, storage cabinets & folding area. 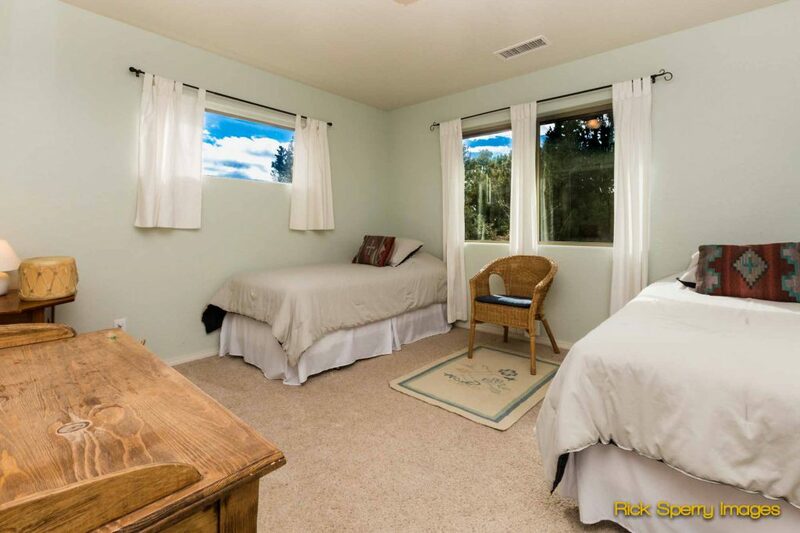 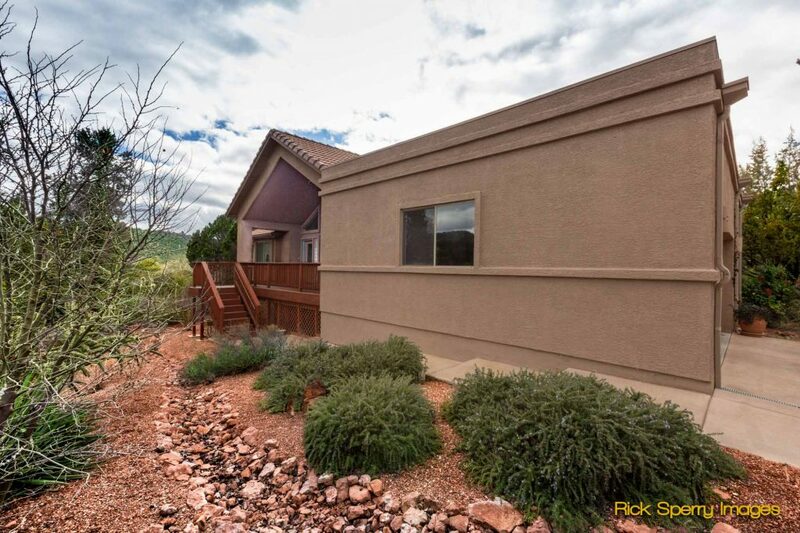 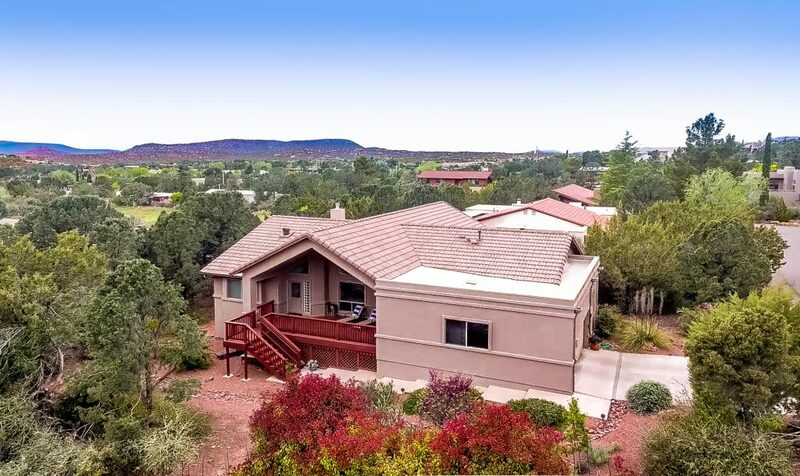 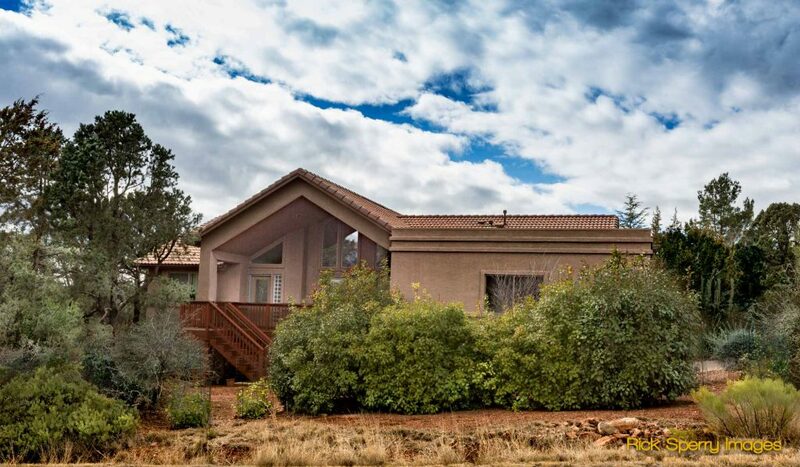 This spacious home is close to Posse Grounds Pavilion, sports and skate park, playground, hiking trails & some of the most beautiful scenery in Sedona. 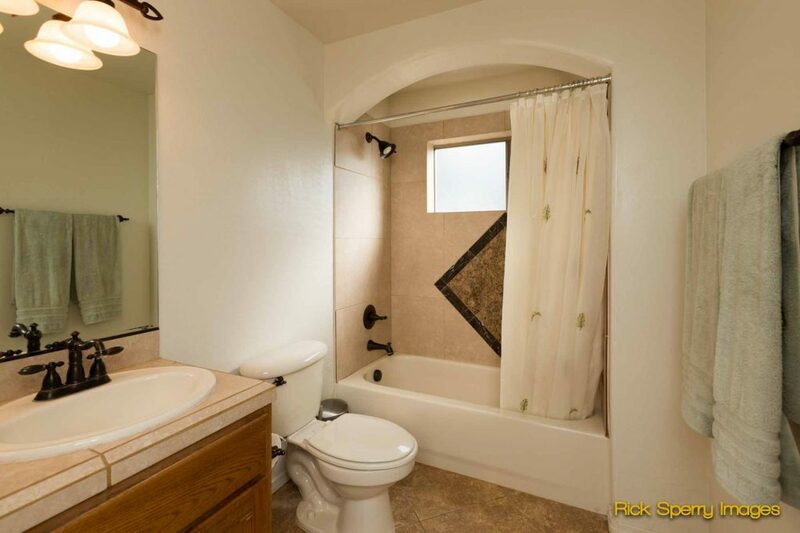 For those interested parties who may want this home for investment or rental possibility – This home is on city sewer (wastewater). 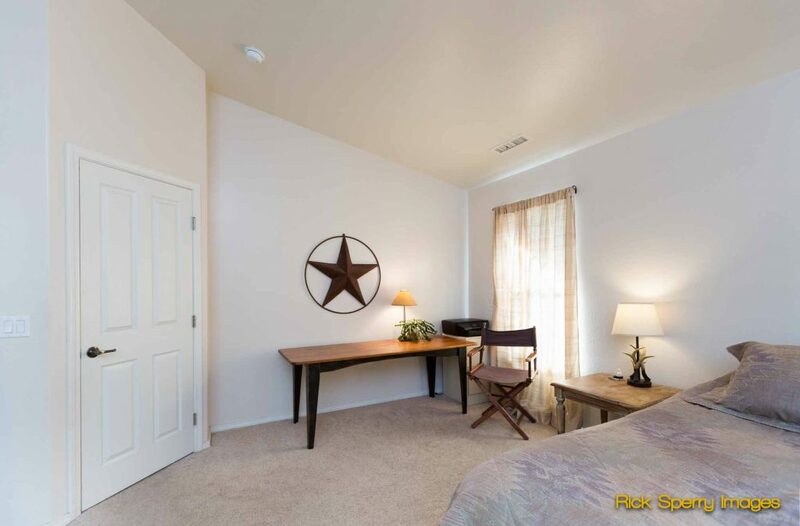 Ask Sheri why this is a sought after amenity when renting out your home. 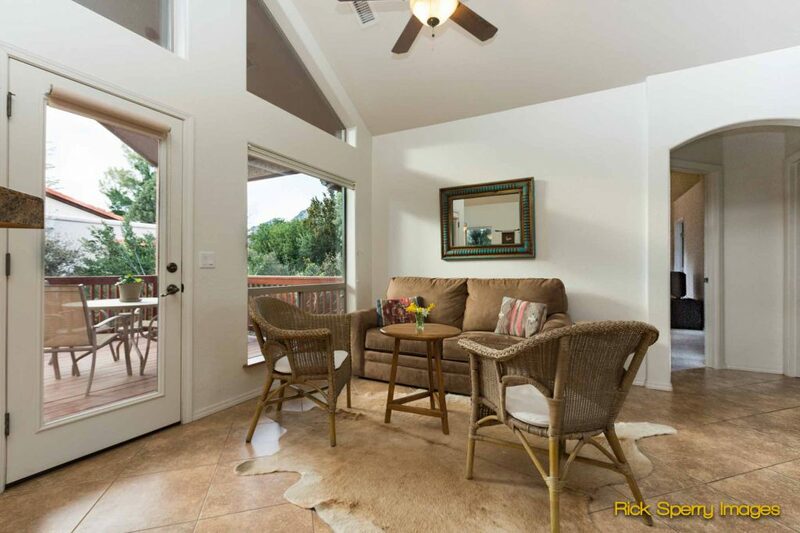 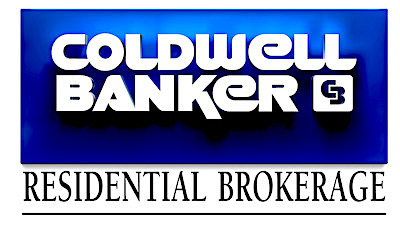 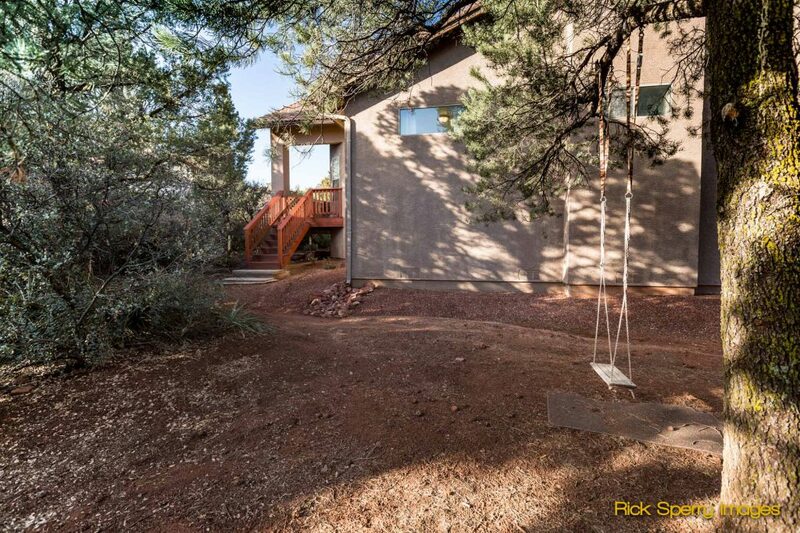 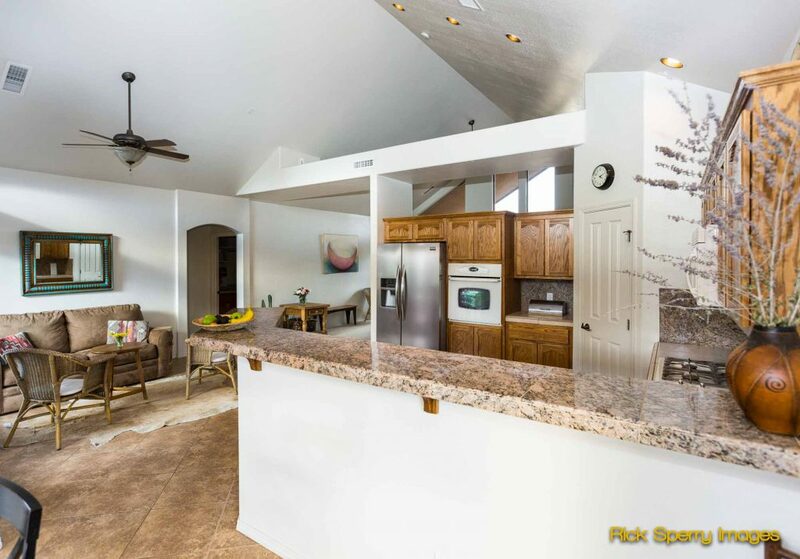 West Sedona is a prime location for rental activity. 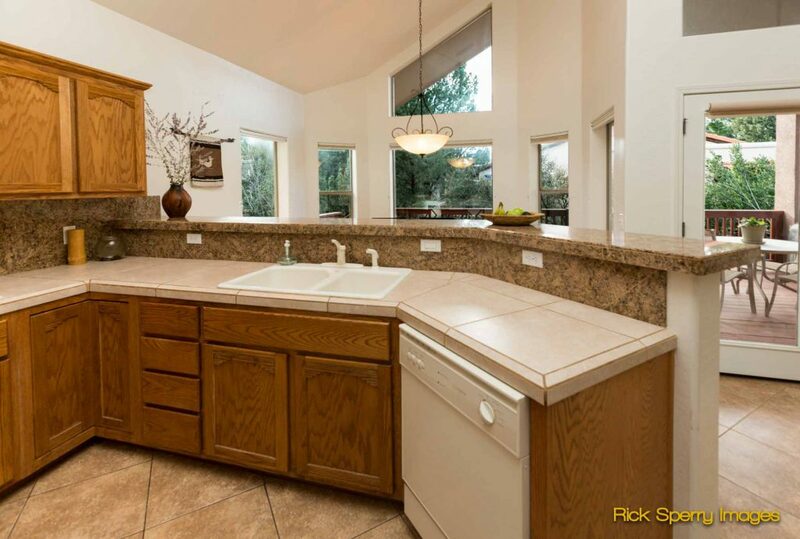 It is hard to find homes available for rentals in West Sedona. 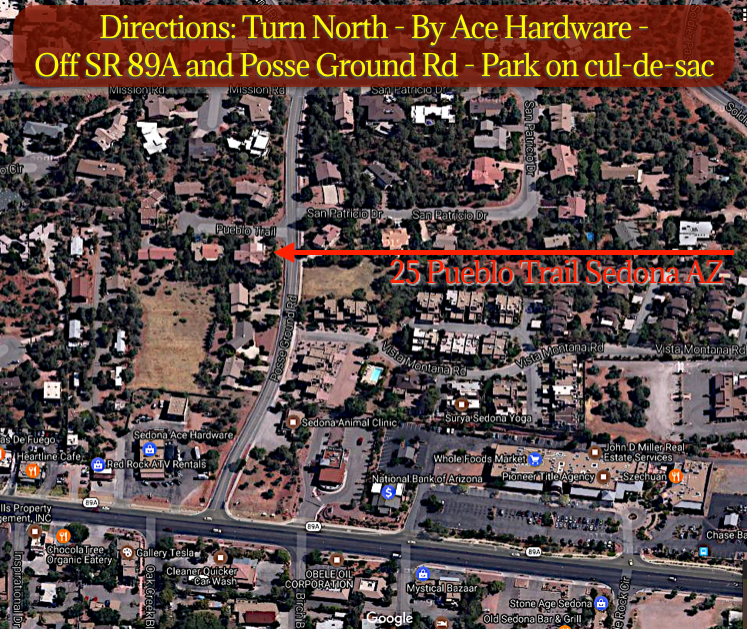 DIRECTIONS: Take State Route 89A to Posse Ground Rd (Ace Hardware sits on corner) – Go north on Posse Grounds Rd approximately 1 block – 25 Pueblo Trail will be on the driver side of the car (west side of Posse Grounds Rd) at the corner of the Pueblo Trail cul-de-sac. 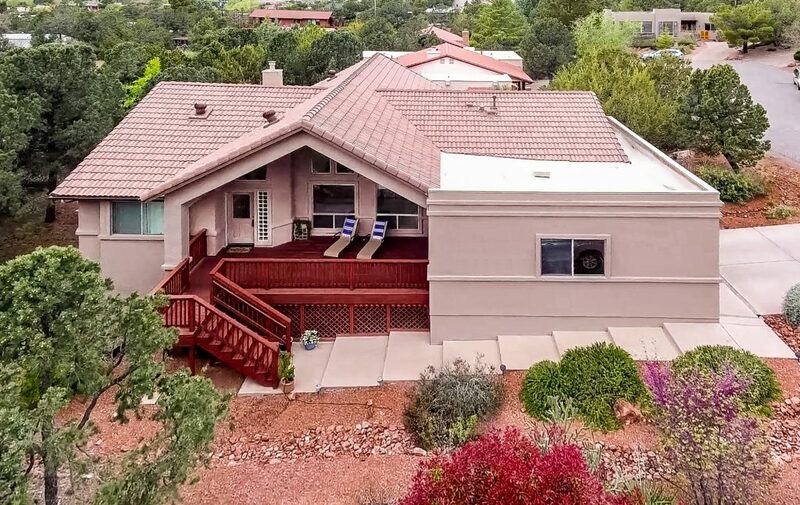 Park in the cul-de-sac.